A Weekly Advocacy Message from Mary Woolley: Who has a stake in science? A continuing resolution to fund the federal government at just under Fiscal Year 2014 levels – it now includes supplemental funding to help combat the escalating Ebola epidemic – is on its way to the President’s desk, and members of Congress will soon be on their way home. Where does that leave us? At the very least, with something to talk about. Today in Kentucky at the Research!Louisville program, now in its 19th year of celebrating science and scientists and engaging the broader community, I talked about the way the nation’s decision-makers have failed us all by setting our nation’s innovation engine on idle, dismissing the fundamental importance of research and innovation at the expense of our health, our national security, our fiscal stability, our economic strength, and our global leadership. And they are sending a message to talented young people like those at the University of Louisville that science is a risky career choice. Yet a “can do” attitude is very much alive here. A group of graduate students has organized a science policy outreach group, determined to bridge the gap between scientists and policymakers. This is an initiative that should be replicated nationwide! Today, June 5, is a milestone in our Ask Your Candidates! (AYC!) voter education initiative. Today is the culmination of 5 by June 5, a nationwide push to encourage voters to ask their candidates about the priority of medical progress and encourage five others to do the same. There is still time for you to join us! Click here to send a message to the candidates running for House and Senate in your district. You can customize the message to include your personal reasons for supporting medical research or you can just click send on the message we’ve provided. In this case, it doesn’t just take a village, it takes a nation. Please help us reach voters in every state and every congressional district. Should accelerating medical progress be a higher national priority? If our future leaders understand that their answer to that question is truly important to Americans, perhaps they will enter office as research champions. Last week, we shared a fact sheet about John Hudson Dilgen, a child with a debilitating and potentially deadly disease called Epidermolysis Bullosa. Medical research is about John. It is also about Carrie, a woman living with a severe form of Multiple Sclerosis. We hope you will find this fact sheet about Carrie useful in your advocacy. When we sent John’s story to Congress, the response was truly overwhelming. Carrie’s story will no doubt have the same impact. 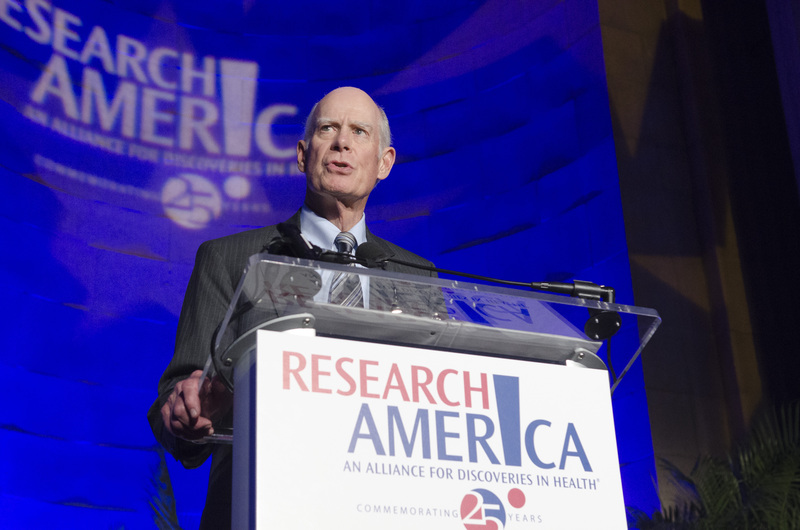 A Weekly Advocacy Message from Research!America: Are we on the right path to protecting innovation? The budget and appropriations process typically reveals stark differences in funding priorities among the two parties. And this year is no exception. House Budget Committee Ranking Member Chris Van Hollen (D-MD-08) introduced the Democrats’ 10-year budget plan this week, which stands apart from the Republican proposal introduced by Chairman Paul Ryan (R-WI-01) most notably by ending sequestration. The Ryan budget, which won House approval today, is on its way to the Senate but is considered dead on arrival. Note that there’s still time to urge your Members of Congress to support medical and health research as this year’s appropriations process continues! Teen “whiz kids” profiled in the latest issue of People magazine personify the future of science and medical innovation. Among them, Jack Andraka, who at age 15, created an affordable diagnostic test for pancreatic cancer that provides results in five minutes. He faced tremendous obstacles securing funding for his breakthrough innovation, a problem we see all too often in medical and health research. Such ingenuity propels our best and brightest to take risks but the funding to support their revolutionary ideas is not within their grasp. Discussing these innovative projects with candidates and elected officials is key to elevating science and technology in the national conversation. In Research!America’s newly released poll data summary booklet, America Speaks, Volume 14, two-thirds of Americans (66%) say it’s important for candidates running for office to assign a high priority to funding medical research. Now is the time to ask future and returning Members of Congress if they believe that medical progress is a high national priority as part of our new national voter education initiative Ask Your Candidates!, which was formally launched this week. More details about America Speaks and the campaign can be found here. As the number of lawmakers with a background in science diminishes, it’s more important than ever to engage with your representatives. Michael S. Lubell writes in Roll Call that if we don’t elect a new scientist in the upcoming elections, it will mark a six-year decline from five to two Members of Congress who have a PhD in a natural science. National Public Health Week, which wraps up tomorrow, provides another opportunity to engage policy makers about the benefits of health research. Don’t miss our recent blog post celebrating public health — an often underappreciated facet of our research ecosystem. A new video highlighting backstage interviews with our 2014 Advocacy Award Winners illustrates the passion and drive of these extraordinary leaders who have contributed greatly to medical progress. 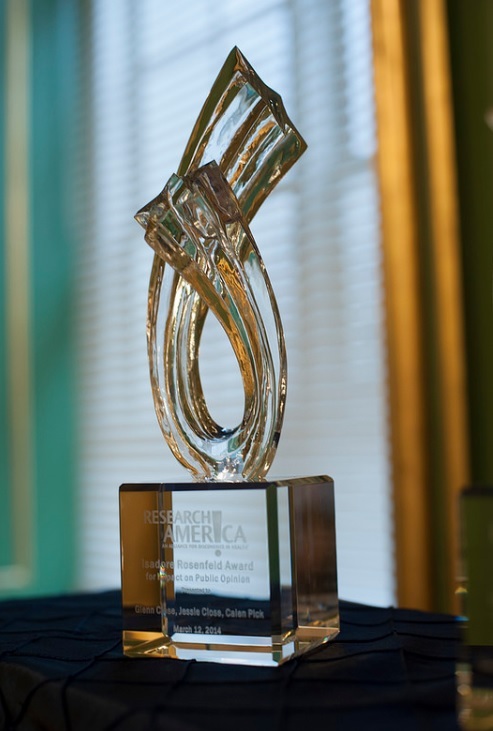 We encourage you to nominate individuals and organizations whose leadership efforts have been notably effective in advancing our nation’s commitment to research for the 2015 Advocacy Awards. As you’re aware, members of Research!America’s management team will guest-author this letter in Mary’s absence. This week’s author is Research!America’s vice president of communications, Suzanne Ffolkes. ALEXANDRIA, Va.—April 8, 2014—Two-thirds of Americans (66%) say it’s important for candidates running for office to assign a high priority to funding medical research, according to America Speaks, Volume 14, a compilation of key questions from public opinion polls commissioned by Research!America. Polling shows that Americans place a high value on U.S. leadership in medical innovation, yet only 12% say they are very well informed about the positions of their senators and representative when it comes to their support of medical and scientific research. www.researchamerica.org/poll_summary. To help close this knowledge gap, Research!America and partner organizations are launching a national voter education initiative, Ask Your Candidates! Is Medical Research Progress a Priority? Through online and grassroots activities, social media strategies and on-the-ground events, congressional candidates will be urged to share their views on government policies and support for medical innovation conducted in both the public and private sectors. www.askyourcandidates.org. The doubling of the National Institutes of Health budget between FY99 and FY03 is an example of Congress at its most productive … and it hinged on bipartisanship. A small group of Republicans and Democrats recognized the power of medical progress, and they worked together to increase the budget baseline for NIH by nearly $11.5 billion. Without that doubling, and with the stagnation of virtually all non-defense discretionary funding that followed on its heels, which groundbreaking medical discoveries would still lie dormant? Which of those we hold dear would not be alive today? 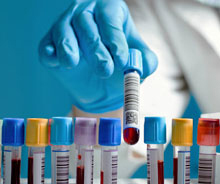 The National Institutes of Health (NIH), the Centers for Disease Control and Prevention (CDC), and the Agency for Healthcare Research and Quality (AHRQ) play pivotal roles in combating disabling and deadly health conditions. Moreover, the funding, or lack of it, allocated to these agencies will bear on our nation’s ability to compete in key export markets within the global economy, foster business development that grows and maintains jobs across the country, meet our solemn obligations to wounded warriors and support troops on the ground, combat deadly medical errors, and protect our nation against pandemics and emerging health threats. The stakes truly are that high. The House and the Senate have begun deliberations on funding levels for NIH, CDC, AHRQ, NSF and FDA for FY15. Pressure to cut federal spending this midterm election year is enormous, and we need advocates to reach out to their representatives. Members in both houses of Congress are accepting input from constituents on which priorities they should fight for. Let your representatives know that combating disabling and deadly diseases is a national imperative, and funding for the agencies committed to this fight should be included on their list of appropriations priorities. Contact them TODAY and share this alert on Facebook, Twitter and with your networks.